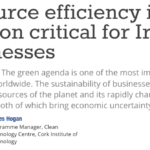 The Clean Technology Centre at Cork Institute of Technology has been providing innovative and effective resource efficiency solutions since 1992. CTC is widely accepted as the leading waste prevention focused organisation in Ireland as well as being the oldest. We provide cutting edge solutions to our clients, whether in business or government. We have a proven track record in environmental protection and resource efficiency in materials, energy and water. We have delivered high-quality research outputs, original training programmes, as well as proven project management solutions for over 20 years to many different clients. The Green Business Programme is a free and confidential resource efficiency service for all types of SMEs in Ireland, helping them reduce waste and save money. Green Business has achieved great success is preventing waste and saving on costs for Irish companies. The Local Authority Prevention Network (LAPN) builds capacity in local authorities for promoting waste prevention at a local and grassroots level for the benefit of their regions. The Stop Food Waste Programme many sectors of society to reduce food waste and compost the fraction that cannot be prevented. 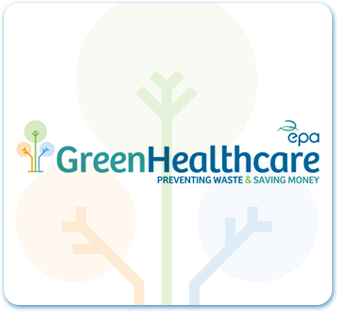 The Green Healthcare Programme assists healthcare facilities in Ireland to improve resource efficiency, prevent waste and reduce costs. CTC works with businesses in several capacities. Through our private consultancy work we provide many services. We also train individuals and groups in companies. Through programmes such as Green Business and Green Hospitality we also support those companies seeking to improve their resource efficiency. 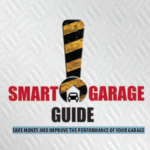 CTC has worked directly with over 300 companies in Ireland. CTC has supported 25 local authorities mainly through the capacity building programme the Local Authority Prevention Network and also Stop Food Waste which have huge spin off effects in those regions. We also work directly with local authorities on waste management plans, consultancy etc. CTC works with communities through the Local Authority Prevention Network and the Stop Food Waste programmes. We provide training, facilitation, guidance and support. The Stop Food Waste Programme has set up many master composter sites, promoting food waste prevention all around Ireland. The Green Healthcare Programme, managed by CTC, has had a major impact on this sector regarding waste prevention and cost savings. CTC has carried out over 100 waste surveys on about 37 hospitals nationwide – this constitutes over 50% of the acute beds in Ireland. CTC has produces many materials to support the sector. CTC is a leading research centre on many topics relating to resource efficiency. CTC has worked on more than 100 research projects, with like 120 minded-partners from 40 countries. In Ireland, CTC has also partnered with many individuals and organisations in its successful project work.